An artist (who?) 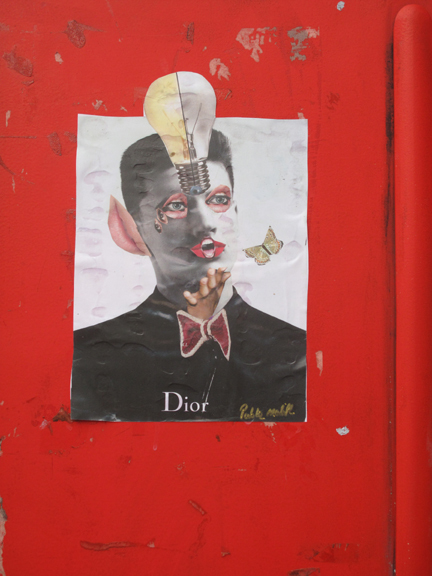 created a work of collage and affixed it to a red phone box here in Peckham. I happened to photograph it. Two days later passing by this same telephone box I noticed that the art – complex, interesting, challenging – was no longer there and all that remained were spots of stickiness. It’s kind of like how Doctor Who makes phone boxes do weird things. This entry was posted in Peckham, Photography, Rye Lane, street photo, Writing and tagged art, Collage, Doctor Who, red telephone box, telephone box. Bookmark the permalink.